Tired of seeing unwanted hair from various parts of your body? If so, then laser hair removal may be just the perfect solution to remove hair. Moreover, this technique is gentle, making it a popular choice over waxing and other hair removal options. This procedure is usually most effective when hair to be removed is still in its growth stage. Keep in mind that hair grows in several cycles. Hence, it may take about 6 to 8 sessions with an interval of 4 to 6 weeks between sessions before you can achieve optimal results from this form of hair removal method. 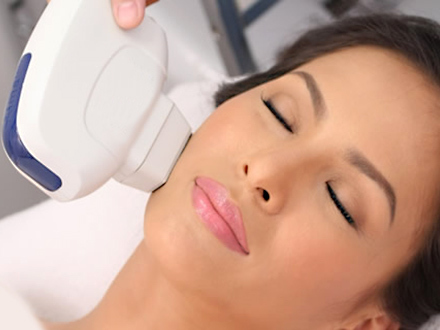 Laser treatment is suitable for body or facial hair removal. Here are among the different areas where hair removal through laser-based device may be used. There are some women who feel insecure about having facial hair on their chin area. Since this is only a small area, it takes less time to treat and remove hair. However, the number of sessions required depends on the thickness of hair to be removed. After the procedure, there are some people who may experience minor redness and irritation. Yet, it is generally a quick and simple process, which offers quality results. Only a few minutes is required for removing hair on your upper lip, considering how small the area is. Most people who go through this process have fair skin with dark upper lip hair since the color of the hair makes it more recognizable with their light skin tone. Blonde or gray hair can be difficult with laser and light based technology. Removing hair on your legs, bikini area, and underarm, among other body areas is made simple through laser body hair removal. However, each treatment may take longer since the different sections covered with hair are much larger than the facial area. In addition, it is important to note that there are different rates or cycles in terms of hair growth. Hence, several treatments are required to achieve desired outcomes. The interval per session is usually 6 to 8 weeks, and the length of time covered per laser treatment varies. Laser hair removal treatment is generally painless, effective and safe. To minimize any discomfort, applying aloe gels, anti-inflammatory cream or ice may be advised by your technician. However, there is no downtime required, which means you can return immediately to your regular activities after the procedure. After several sessions, you will notice evident results of the treatment. In fact, most people claim to experience hair growth reduction by as much as 80 percent. Because results are long-lasting, it eliminates tedious rituals of plucking, waxing or shaving hair.